Our goal is to create a space to help you unfold: open, evolve, grow + blossom. We are here to help you Unfold into your authentic self, because you are awesome! Unfold Yoga is more than a Yoga studio, we are a healing space that supports women in all phases of life, through movement + community. We support you, body, mind and soul, by bringing women together with our inclusive, body positive, offerings focused on empowerment and connection. We offer a balance between yin and yang, while we have fun, upbeat, active classes we also balance that with stillness, yin, meditative and restorative style classes. Our instructors teach from their heart, and they teach what they are passionate about, so each class offers something totally different. Our goal is to provide a warm, welcoming space, to make yoga and wellness accessible to everyone, to keep it mindful, meaningful and fun. To offer unique workshops, community gatherings and unique healing modalities, that bring women together to empower themselves and each other. Additionally, we offer yoga teacher trainings, reiki trainings and wellness services: including reiki, therapy, prenatal and postnatal services. 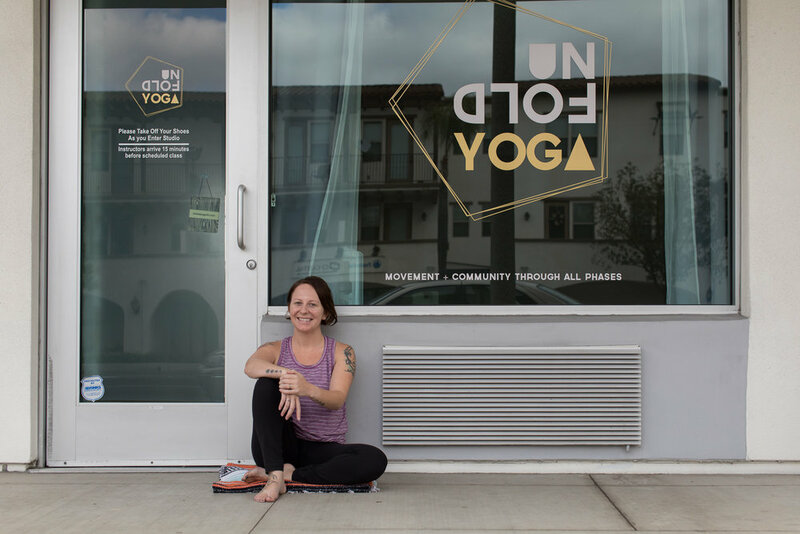 Unfold Yoga is the only yoga studio in Orange County to offer a comprehensive prenatal + postnatal program with 5-weekly prenatal yoga classes, birth services and a comprehensive childbirth education program taught by extensively trained professionals. This is a great place to find your mamatribe and prepare for pregnancy in a non-judgmental and supportive space. We support mamas through the journey of pregnancy and beyond.